Going on a holiday with kids can be a hard enough endeavor. You have to make sure the locations are safe for kids, the food is suitable for them, the weather is not too hot, and the children are not bored. The same goes for the gulet cruise, so you have to take some things into consideration when preparing your family cruise. 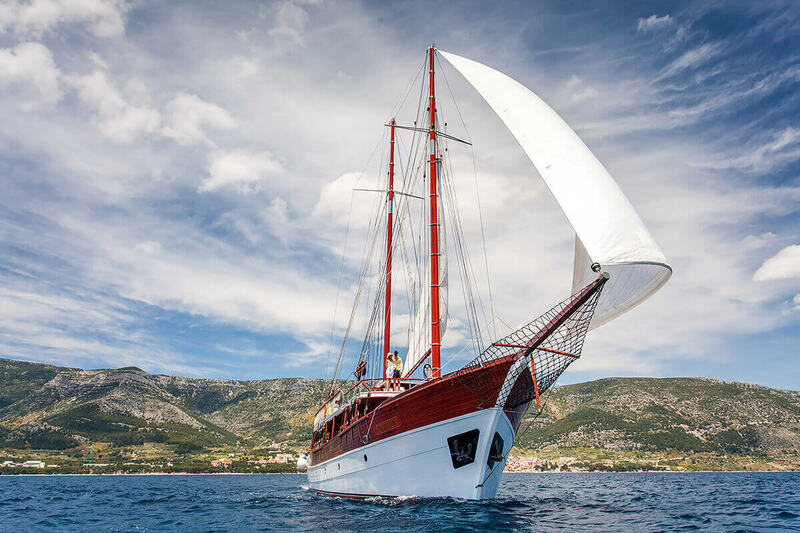 Gulet cruise in Croatia can be perfect for families with small children because you can visit a lot of nice and safe places for children to swim, snorkel and enjoy themselves. Families with teenagers can have a lot of possibilities for water sports and kids have an opportunity to leave the gulet and have a good time for themselves. Safe and interesting for your kids, relaxing and joyful for you. Your itinerary should not be one hundred percent fixed and set in stone. It should be short and flexible, a combination of beautiful islands, nice towns, and interesting activities. Croatian islands offer many beautiful beaches where children can safely play in the crystal clear water of the Adriatic sea. When you are moored with a gulet in a beautiful bay the possibilities for kids are almost unlimited. They can jump in the sea, swim, snorkel, go to the beach etc. Water sports are an important addition for children. It is very good for gulet to have at least one canoe. It is great fun for small kids. Safety always comes first when it comes to traveling with children. You can charter a gulet with a safety net, wider beam, and large comfortable salon where kids can be safe when the vessel is on the move. You can book gulets that have a large salon with a TV. This comes useful for leisure time while the captain takes you from one location to the other. Children will be safe in the salon watching cartoons while you can enjoy and relax on the deck. 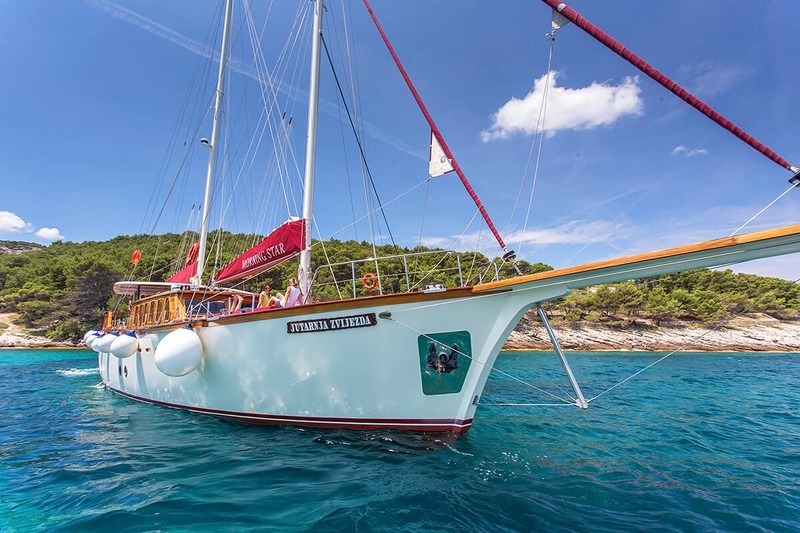 If you have a family cruise with teenage children you should consider the itinerary where kids can get off the gulet on several occasions to have a good time on their own. A lot of places for swimming, snorkeling, and other water sports are also very important. 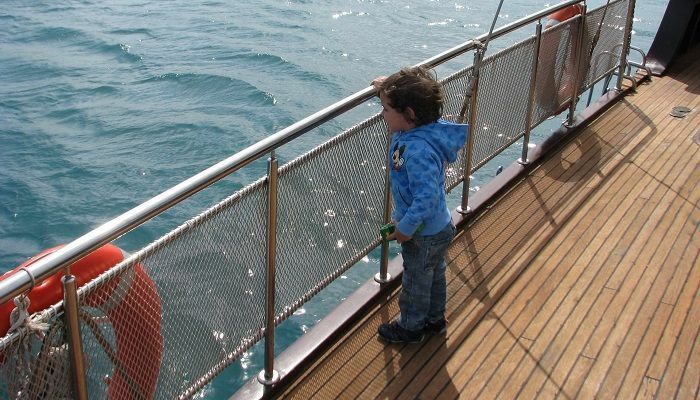 Gulet must have as much water sports options as possible, so the kids will not get bored. Salon with a TV is almost a must, as is other technical equipment such as Wi-Fi connection, iPod plugins, and good music system. We always recommend full board accommodation (with breakfast, lunch, and dinner) if you travel with smaller kids. Most of the time children tend to not like seafood or local specialty dishes, so the chef should have the flexibility to prepare simple meals modified for kids. Food should be abundant and with a variety of choices. Furthermore, try to find those gulets that can provide a child-friendly crew that loves kids and has a required patience when come to dealing with children. 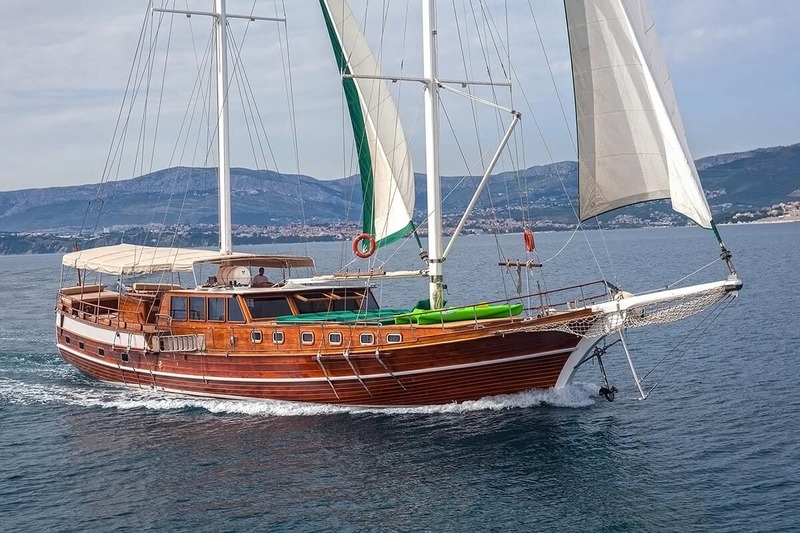 Gulet Morning Star has a renovated seating area and very large beam providing lots of space in general. This yacht has also 4 out of 6 cabins with two separated beds which are great for non-couples and children. 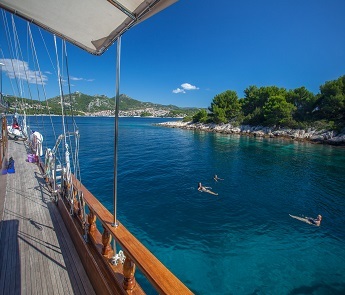 The crew on board offers superior service and ultimate relaxation to her guests in Croatia. It is a great choice for families with kids who can enjoy many diverse watersports and on the foredeck. 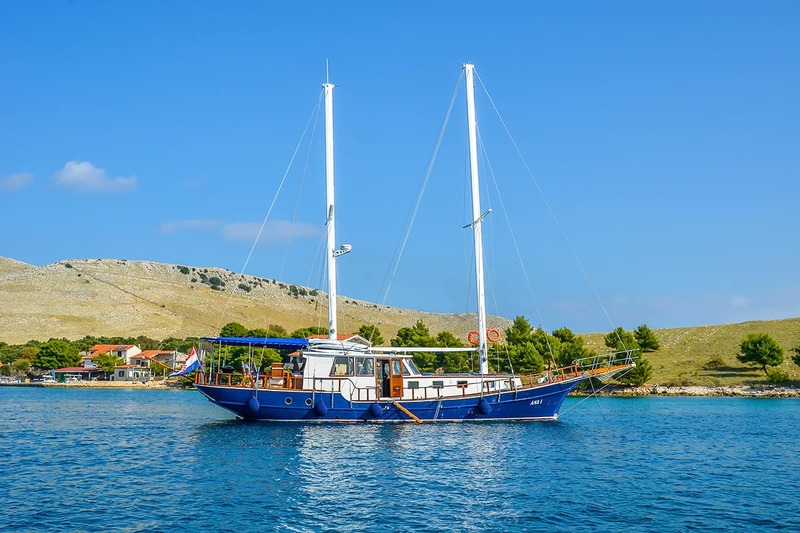 Motor Sailor Romanca is one of the rare boats in Croatia that can accommodate up to 16 persons in spacious yet nicely decorated cabins. A professional and friendly crew will make sure that you and your family is having excellent service on board at the highest possible level. The salon is also very spacious which is convenient because your kids can stay safe during ship cruising to the next destination. Gulet Anna Marija offers great services onboard, excellent food and many amenities. Experienced owner and crew who knows how to make all guests happy and comfortable. Spacious cabins and salon with a large master cabin can accommodate up to 12 guests. It is a nice choice for families who want to cruise with the utmost security and comfort. 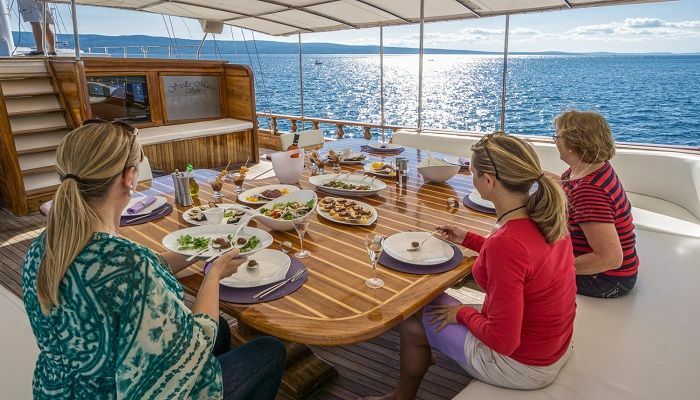 One of the largest the gulets in Croatia with 7 cabins that can accommodate up to 14 guests on board. Comfortable jacuzzi on deck a lot of water sports on board it truly provides a great experience of cruising n highest levels of comfort for everyone on board. Every year, novelty and variety of additional details are added on board which is one of the reasons why this gulet has many repeat clients. 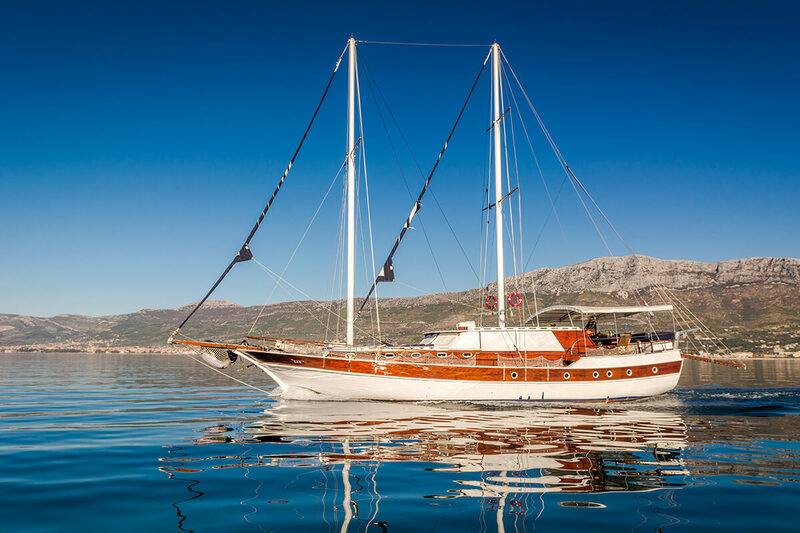 Gulet Ana 1 is a 21-meter gulet yacht from Croatia. 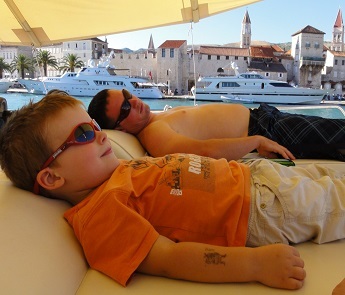 It is ideal if you are a family that wants to cruise in Kornati Archipelago. Ana 1 offers lots of water sports (donut ride, wakeboard, water skiing and much more) so you and your kids can stay active and have fun. Ana 1 is by far one of the best 4 cabins DELUXE gulets for families with children. Take a look at some itinerary ideas that are perfect for families. 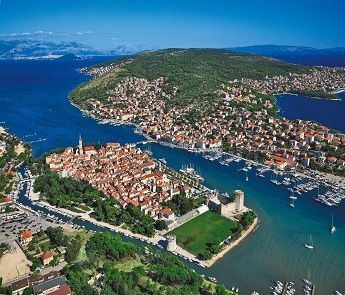 You have an opportunity to visit different islands and beautiful bays, small towns and villages, and some of the most famous Croatian natural treasures. During the days you can enjoy away from the crowds in picturesque secluded bays, swimming and relaxing in the crystal clear sea. Kids will have a lot of fun. Afternoons and evenings can be spent ashore where you can explore the beauty of Dalmatian islands or you can anchor in a nice quiet bay surrounded by sea and peaceful nature. 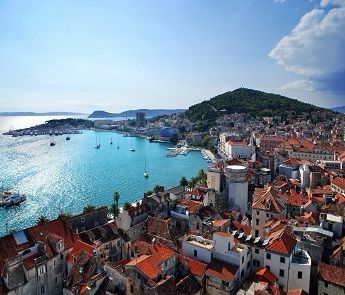 You can start your holiday in Split or Trogir, two small historic coastal towns with more than 2000 years of continuous urban tradition. Both towns are close to the airport and are perfect spots to start your cruise. You have a chance to explore these beautiful cities, they offer are a lot of options for sightseeing or you can just board your gulet, meet the crew and start your family adventure towards the next destination. 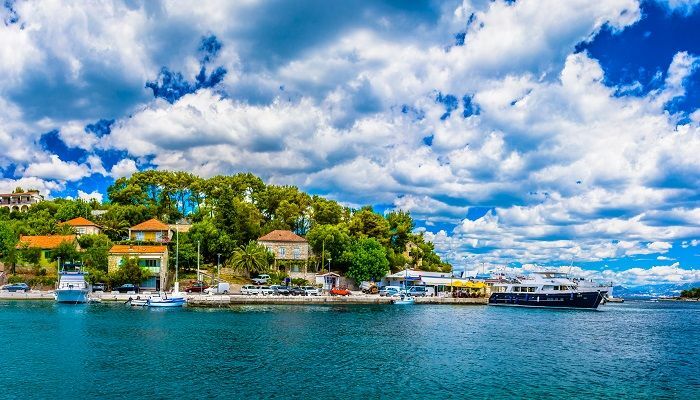 You can check a famous Aquarium in Port Vranjic near Split or bathe on amazing pebble beaches of Port Okrug on the island of Čiovo near Trogir. Your first island destination can be Šolta. This island is not widely known, it has no famous medieval churches, fancy restaurants or souvenir shops. Šolta still remains unspoiled by mass tourism and upon the visit, you will get the feeling that time has simply stopped there. The quietness of the island and its greenery used to inspire Croatian poets. Šolta is very safe and easy going and thus a perfect introduction for your cruise. 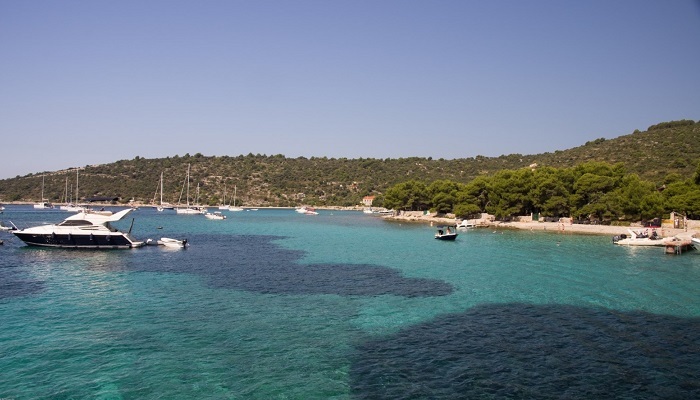 Next stop is the island of Brač with one of the best beaches in the world. Near the small town Bol on the southern coast of the island, you have a chance to swim and sunbathe on the most beautiful Adriatic beach known as Zlatni Rat (The Golden Horn). It is a beautiful gravel beach, surrounded by lavish pine forest. Your kids will love it. Visiting the beach with a gulet is a great advantage because you can avoid the crowds. Bol is also one of the best locations for water sports. The cruise takes you to the famous island of Hvar that was rated as one of the top 10 most beautiful islands in the world. 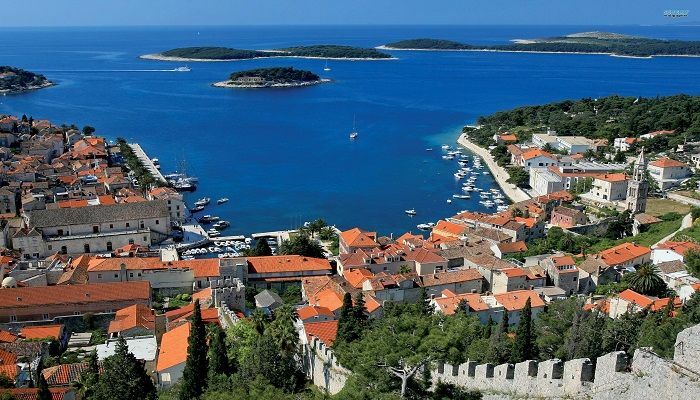 The main highlight is Town Hvar with lots of different sightseeing options. The city can turn into a crowded party place in the evenings, so it is better to spend the night in Starigrad. 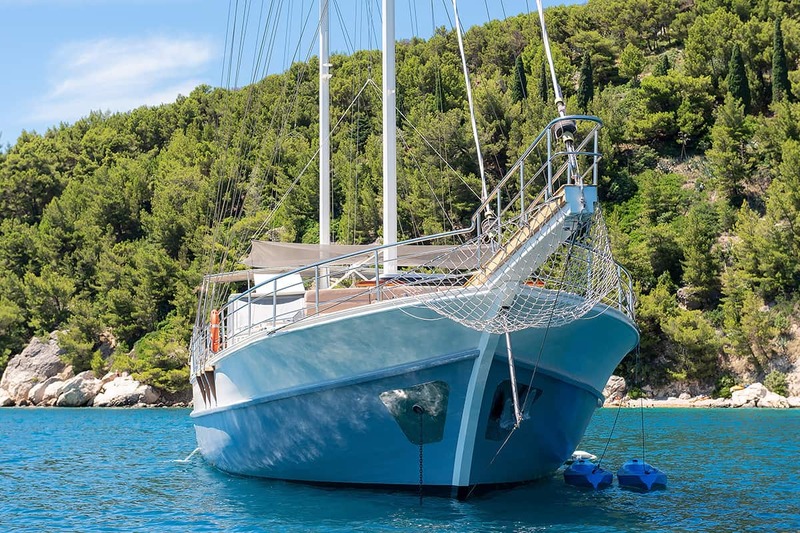 Gulet can also take you to the Pakleni Islands in the proximity of the bay of Hvar. This will allow you to sleep in a nice secluded bay and also check the city. Pakleni Islands are the most unique and recognizable natural beauty of Hvar with many nice beaches for swimming. 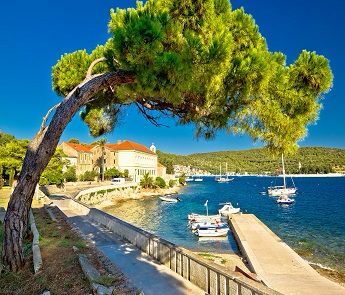 From Brač you can cruise to the island of Vis, the furthest island of the central Dalmatian archipelago. It is equally known for its special cultural and historic heritage as for its natural beauties. You could visit Rocker base, have a stroll around nice little towns Vis or Komiža or even take a daily trip to the nearby island Biševo to see the amazingly beautiful natural treasure, the Blue Cave. 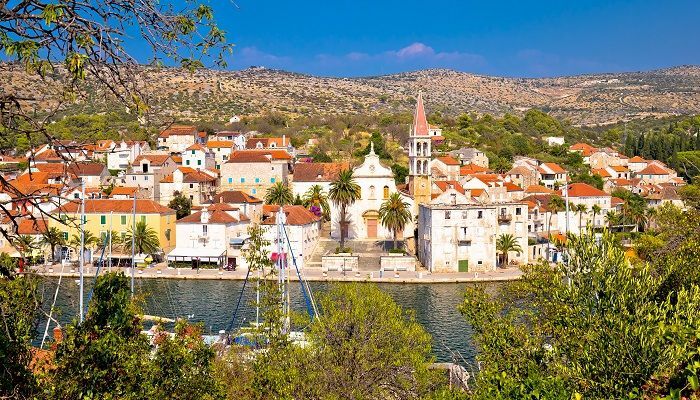 You can end the cruise by visiting the island Drvenik Veli and one of its unspoiled natural treasures, the Krknjaši lagoon on the east coast of the island. Beautiful pebble beaches and shallow sandy seabed is a true tropical paradise of this area. 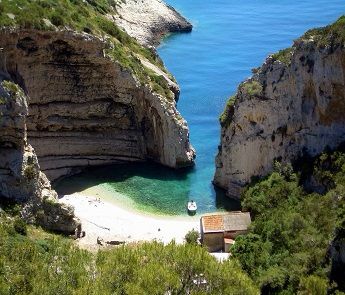 There are small coves with sandy shoals along the coast that provide intimacy and are suitable for families with small children. This is the perfect place to conclude the cruise, enjoy the unspoiled nature, and swim in the crystal clear, turquoise water of the Adriatic sea. Our Picks of Gulets that deserve special attention.